Well, it does if you’re into that sort of thing. (Which I am.) HORSEBURNER do indeed blaze rather loud trails on the road. However, they’re some darned nice gentlemen, in fact. About as far from mean as you could fathom. Look at their band photo, for the love of all that’s unholy. How could you not like these doods? Together since 2008, borne from the wild Appalachian green of West Virginia, HORSEBURNER has never cowered from hard toil. From their first live show performed, a first EP ‘Dirt City’ self-released in 2009, an initial tour in 2011, to a second EP 7” ‘Strange Giant’ in 2013, and right up to a début full-length ‘Dead Seeds, Barren Soil’ in 2016, it’s all been DIY and self-released. I’ve seen but a mere few out of the hundreds of shows they’ve played over the past decade, alongside such acts as Torche, Weedeater, Skeletonwitch, Goatwhore, Obituary, Corrosion of Conformity, The Obsessed, Karma to Burn, Prong, ASG, and Bell Witch. In 2017, the band altered their DIY stride with a reissue of their full-length through Hellmistress Records and reignited their flame with writing and recording new music during 2018. The band has started up a Spring Tour heading through the Northeast U.S. and a date in Canada (with Stonecutters and Ghastly Sound on select dates), as well as appearances at the Grim Reefer Fest in Maryland and the New England Stoner & Doom Festival in Connecticut. 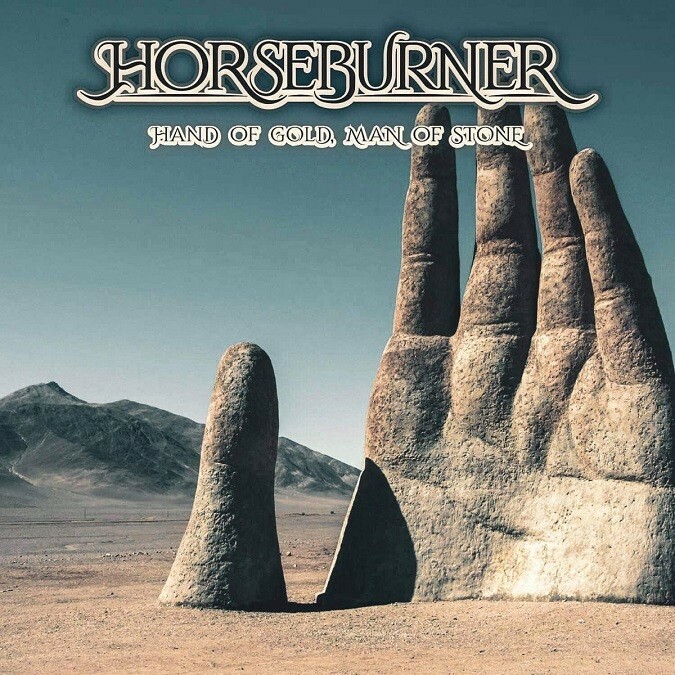 Check out the dates and info below to find a HORSEBURNER show in your town and have a listen (or five) to the new track “Hand of Gold, Man of Stone.” The song is available on Bandcamp as a NYP (Name Your Price) track, too! “We’re definitely ready to be back on the road, as well. We haven’t been out there as much as we like to this past year, and we’re ready to throw off the rust and see some new faces. We’re hitting a few places for the first time ever, and returning to some old favorites, so this will be a good time. 2019, Album Art, Audio Stream, Bandcamp, Canada, Festival, Grim Reefer Festival, Heavy Metal, Heavy Rock, Horseburner, Mettle Media PR, New England Stoner And Doom Festival, NYP (Name Your Price), Post-Metal, Progressive, Riff Rock, Ripple Music, Sludge, Stoner, Stoner Rock, Streaming, Tour Dates, U.S.